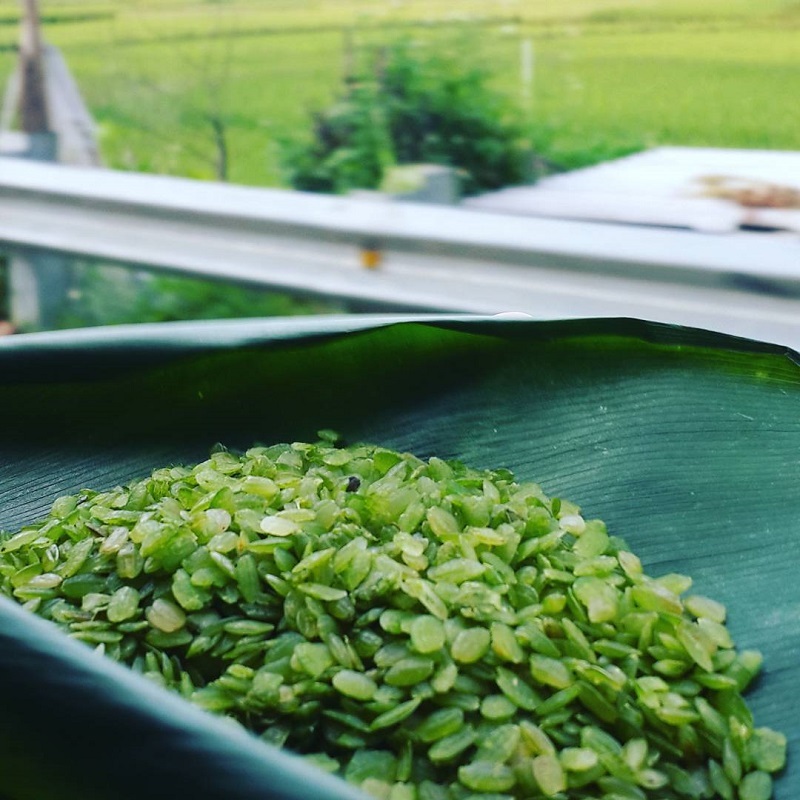 Home > Travel guide > How to see the North West rice season? Northwest rice terraces are the most beautiful ripe rice season. Spend two days exploring this land, you will have a really worthwhile experience. October is the best time for you to experience the Northwest, admire the grandeur of the mountains and forests in ripe rice season. In particular, Mu Cang Chai (Yen Bai), Sa Pa (Lao Cai) and Hoang Su Phi (Ha Giang) are the most attractive destinations for you to consider and plan for the colorful autumn trip. Mu Cang Chai has the enchanting charm of one of the most beautiful rice fields in Vietnam. Cool weather, the golden shine spread along the hills to worship the beauty of the works of great creativity. In the middle of September, Mu Cang Chai terraced fields attracted crowds of tourists and photographers gathered here. From Hanoi, you can travel by car, car or bus from My Dinh bus station to Mu Cang Chai route Hanoi - Lai Chau. At your destination, you can choose to rent a motorbike and wander around Mu Cang Chai town and neighboring communes. - Tu Le Valley: Tu Le Valley possesses wonderful terraced fields with green, yellow veins stretching across the vast sky. You can visit the Lim Thai, Lim Mong about 3 km away and watching the houses on stilts along the road. 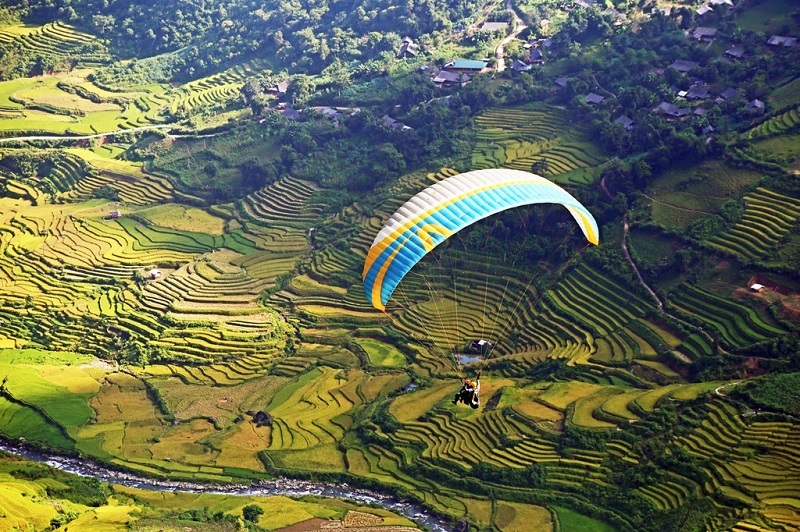 - La Pan Tan: La Pan Tan is the most terraced fields in Mu Cang Chai with 700 hectares. In particular, the "golden raspberry" here is a beautiful check-in point, pulling the tourists and photographers to the paparazzi every season. - Khau Pha Pass: One of the four mountain passes in the North, Khau Pha Pass is also an attractive attraction you should explore during the trip to Mu Cang Chai. Khau Pha Pass winding around the mountain ranges, alternating between the great forest and golden carpet rice terraces stretching with white clouds and mist often cover the sky. Besides, Tu Le sticky rice and roasted grasshopperare two specialties you have to try when it comes to this land. Tu Le sticky rice grown in Muong Lo field is very delicious. 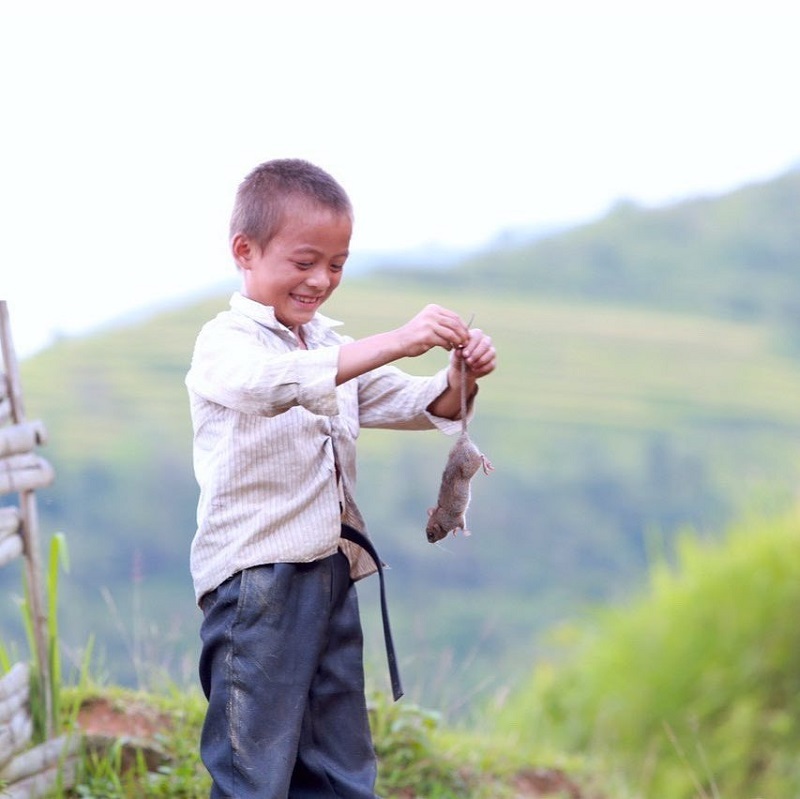 Grasshoppers are available year round, but at harvest time in Mu Cang Chai, locusts are much and delicious. Sa Pa is one of the few tourist attractions to attract tourists year-round. Rice season in October, Sa Pa brilliant yellow color throughout the mountain slope, beautiful beauty, urging how many people visit. Not only admire the majestic terraces, visitors to Sa Pa season also breathe the cold air of autumn and see a picturesque Sa Pa with wild flowers hatched along the hillside. The majority of tourists choose buses to travel to Sa Pa. After Noi Bai - Lao Cai highway put into operation, the distance between Ha Noi - Lao Cai (Sa Pa) was greatly reduced in terms of running time and length of the road. Besides, the train is also an interesting option for those who want to experience the view of Hanoi - Sa Pa Road. 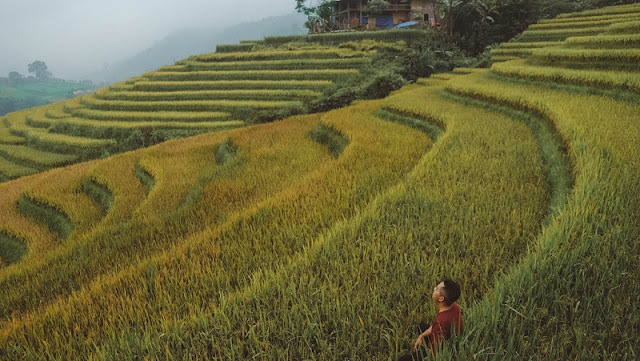 The terraced fields stretch across the villages of the Mong people Dao around Sa Pa. You can explore the scenery of rice paddies in villages such as Ta Van, Ta Phin, Cat Cat, Sin Chai, especially Muong Hoa valley. Lao Chai Village in Muong Hoa Valley has been chosen as a national heritage, a great destination for you to experience Sa Pa season of rice. The terraces here are magnificent as a giant carpet, the aroma of aromatic rice leaves you immersed into the peaceful world, dreaming it. Besides, Sa Pa also has many other places for you to combine exploring in the trip as stone church, Ham Rong Mountain, Silver waterfalls, O Quy Ho Pass, Love waterfalls, Fansipan peak. In the terraced fields of the Northwest and Northeast, Hoang Su Phi is the most majestic place. Leaning on the upstream of Chay River is not only beautiful but also gives viewers a sense of overwhelm. 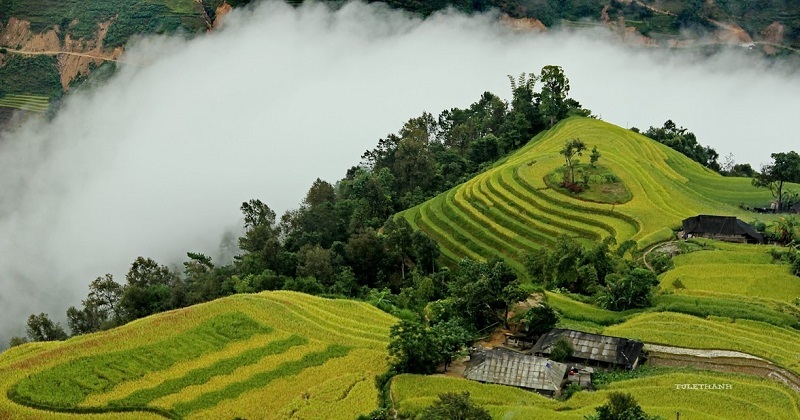 Unlike in Mu Cang Chai, Ha Giang terraced fields are delayed so rice is matured later. The ripe rice crop in Hoang Su Phi around the end of October. About 300 km is the distance that travelers must pass to set foot in Ha Giang. Depending on the different routes that time come to Hoang Su Phi also change. You can go by car or train to the mountainous provinces, then rent a motorbike. This move is quite convenient and does not lose much. The two communes of Luoc village and Phung village are the largest terraced rice fields in Hoang Su Phi. The terraces of this place are really artificial works of great difficulty where there is. The fields look from the bottom up like the white coffins layered. During the ripe rice season, the monument is beautiful, colorful and rich in vitality. The fields look from the bottom up like stairs. During the ripe rice season, the massive construction is very beautiful, colorful and rich in vitality. 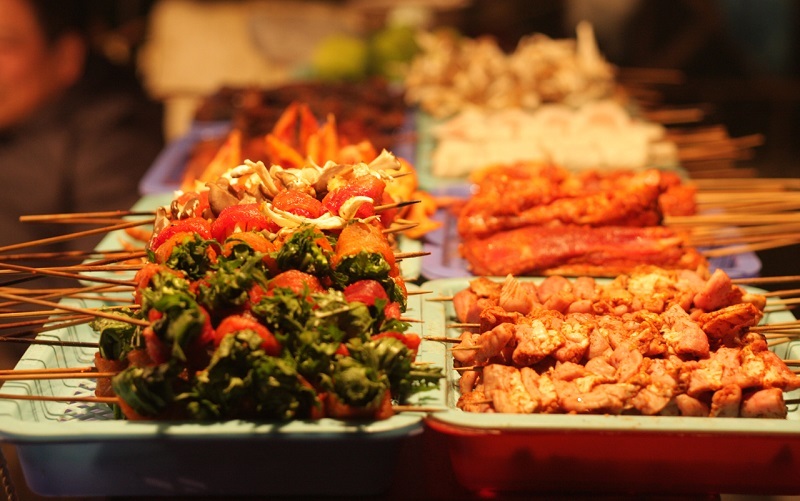 Rat meat is an indispensable food in the lives of people in La Chi ethnic, Ha Giang. Ethnic people here processing many delicious dishes such as roasted mouse, fried mouse, mouse hanging kitchen ... To Hoang Su Phi, you do not forget to taste this unique and attractive specialty.